So after a chaotic week of renovating a bathroom and contractors not delivering, the weekend came and flew past! We had my husband's birtday celebration on Saturday night so the whole Saturday were spent cleaning up the house and the mess after the contractors left. Even though we only had work done in the bathroom, the whole house was dirty and dusty. Then yesterday, ironically most of the day was spent again cleaning up after my guests. 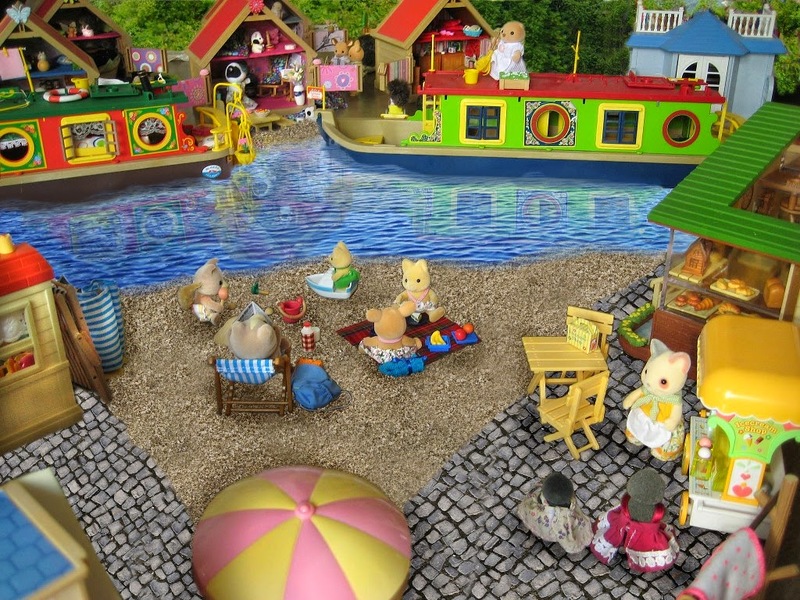 So when I finally managed to finish that, I was just too exhausted to keep my head up, and again like the previous weekend my Sylvanians were totally ignored. So I thought of promoting a story that I did last year October - understand monday memories, now? So enjoy the one about Mae Mulberry and hopefully by next week Monday I'll might have something new for you. Then I would once again like to promote our SF forum, but this time more specifically a thread that a friend is currently updating regularly about her village, Mystique Valley. She took a weekend to set up her whole collection in the form of how she imagined her village should look like and then another forum member helped her to colour in the surroundings. Go here, it is totally amazing what they managed to do and worth looking at. She regularly post new photos so don't fall behind. Hope that you will have a wonderful week and a blessed Monday! P.S. Dont forget about my competition. Go her for more info. Happy belated birthday to your husband! I hope you will recover quickly from your exhaustion! But once the bathroom will all be renovated and done, it will be great! Thanks for posting about Sigrun's village. I would have missed it otherwise! That's an amazing feat! I know it will be worth it but it is taking forever. Thanks for the wishes. Glad you seen it and Sigrun appreciates your comment! Well hopefully I will soon post a NEW story. A Day with Prissy Thistlethorn.